The actual animal kingdom - it is the most accurate description of the game reserve Masai Mara. It is located in southwestern Kenya, on the border of Tanzania, about 275 km from Nairobi. Masai Mara Reserve is perhaps the most famous and most visited reserve in Kenya. It offers a truly African exoticism, with breathtaking scenery and its great variety of wildlife, hilly pastures, spread on broad plains. A zone was established in 1961 to preserve the nature and wild animals from hunters. This is the most frequently visited wildlife sanctuary in Africa. Alternating plains and wooded locality spread over an area of 1510 sq. km. In this savanna with rounded hills go 2 great rivers - the Mara and Talek whose shores are occupied mostly by picturesque acacia trees. This protected area is known for a truly vast range of Wildlife. The animals can be easily seen in their transitions. The most beloved by tourists way to monitor this is a flight in an animal balloon. If taken at sunrise, you experience becomes finally complete. There are about 80 species of mammals. During migrations, which are 2 times a year - at the start of the rains in June to the north and south in October, the "Great Migration" of animals is a real spectacle for the eye. On the southern Serengeti move more than 250 thousand zebras, over 500 thousand gazelles Thompson, 1.5-2 million antelope - wildebeest, oryx, Impala, as well as elephants, buffalo and more. protected species. Greatest interest to tourists are the so-called"Big Five" - elephant, lion, buffalo, hippopotamus and rhinoceros. 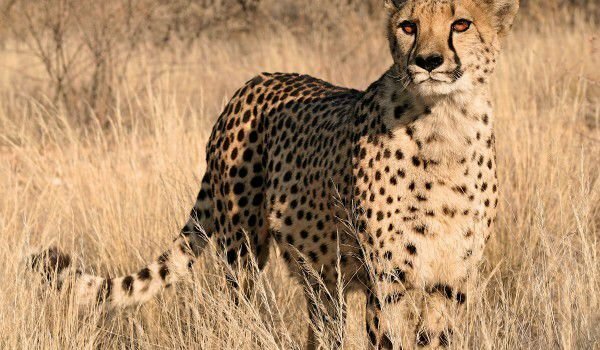 Zebras, giraffes, monkeys, especially the "big cats" - cheetahs, leopards are also extremely attractive. Indigenous peoples are found in the northern part of the reserve, which is characterized by brilliant surroundings. Their settlements are called maniati and are made of clay covered with straw huts. If you plan to visit Masai Mara National Reserve, rest assured, because we offer several types of accommodation. You can choose from stone cottages to luxury real camps that offer deep shade, in most cases in small groups. Do not delude yourselves that the facilities of the camp will dull your sense of a truly classic safari.